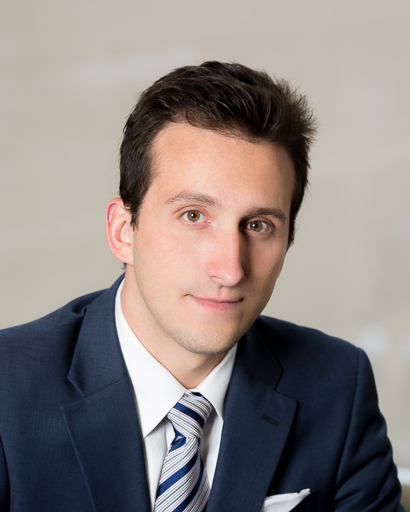 Christopher Livas has been an associate attorney at Kralovec, Jambois & Schwartz since his admission to the Illinois Bar in 2015. Mr. Livas concentrates his practice in the areas of medical malpractice, wrongful death, nursing home negligence, and personal injury. Mr. Livas attended the Chicago-Kent College of Law where he received his Juris Doctor in 2015. While at Chicago-Kent, he was a Dean’s List student and a member of both the Entertainment Law Society and the Corporate Law Society. Mr. Livas was also honored as a four-time CALI award recipient for achieving the highest grade in a given class in Forensic Evidence, Bankruptcy, Mediation, and Sports Law. While in law school, Mr. Livas served as a judicial extern in the Law Division of the Circuit Court of Cook County for the Honorable Clare E. McWilliams. He joined Kralovec, Jambois & Schwartz as a law clerk in 2013, and has been an integral part of the KJS team ever since. Mr. Livas graduated from the University of Illinois at Urbana-Champaign in 2011 where he earned a Bachelor’s of Arts degree in Communication. While at the University of Illinois, Mr. Livas was a member of the Lambda Pi Eta National Honor Society for Communication Scholars. $4,560,000 settlement during trial on behalf of the family of a pedestrian who was struck and killed in an auto collision. $1,500,000 settlement against physician and hospital for failure to properly interpret EKG results and failure to timely diagnose the patient’s heart condition, which left the patient with severe cardiac dysfunction. $1,250,000 settlement for a woman who suffered severe injuries in an automobile collision. $650,000 settlement for a patient who received excessive insulin during treatment which caused a hypoglycemic coma and permanent brain damage. $500,000 settlement against physician and hospital for failure to diagnose the patient’s infection, which led to necrotizing fasciitis. $450,000 settlement against a plastic surgeon who improperly performed a bilateral breast reconstruction surgery following the patient’s double mastectomy. $301,500 settlement against prosthetic hip manufacturer after defective hip implant allowed excessive levels of chromium into the patient’s bloodstream. $300,000 settlement against physician and physician’s group for failure to diagnose acute pyelonephritis, a potentially life threatening kidney infection.